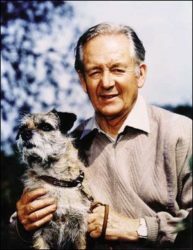 While poking around the other day looking for more James Herriot stuff at Amazon.com, I discovered you can search by percent off an item. So, here are links to all kinds of Amazon categories with stuff up to 90% off! Click each number to see stuff up to that percentage off in each category, like 10% is 10% off, 20% is 20% off, etc. Enjoy!